Mark these dates – the upcoming installment of the Travel Revolution Fair 2017 will be held from 4 - 6 August 2017 at Marina Bay Sands! Featuring an array of travel agencies, cruise operators, tourism organisations and participating banks, this event is definitely not one to be missed. Peruse the latest travel packages from leading travel agencies, such as Nam Ho Travel and Chan Brothers, or start booking flights for your next getaway with Cathay Pacific Airways. Looking to travel off the beaten path this year? Listen to what specialists have to share about destinations such as Africa, Inner Mongolia and the Nordic region (Finland, Norway, Iceland). Why, you might even be one of the lucky winners of a grand draw where you can win air tickets to Europe, Japan, Taipei, Hong Kong and more! 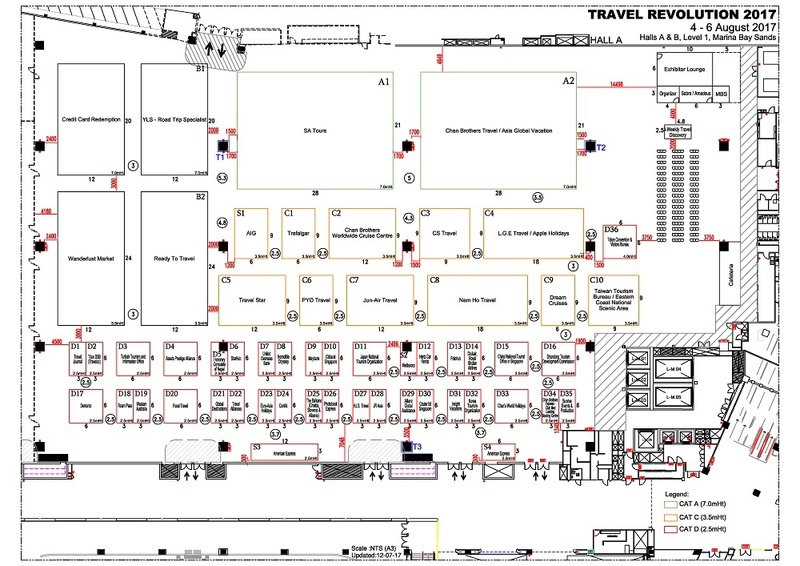 For all those who are planning to head down, arm yourself with this complete list of exhibitors that's complete with their booth and hall numbers. You're welcome! List updated as at​ 31 July 2017. ​You can even choose to take a Singapore River Cruise for a scenic boat ride, ending at Marina Bay Sands!